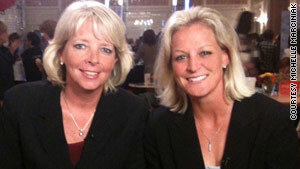 Susan Walvius, left, and Michelle Marciniak went from coaching to launching a bedding business called SHEEX. (CNN) -- You could say that a simple pair of running shorts was the trigger that launched a multimillion-dollar business and radically shifted the lives of basketball coaches Susan Walvius and Michelle Marciniak. In August 2007, Walvius, who was then the head women's basketball coach at the University of South Carolina, and her assistant, Marciniak, had just finished a long day teaching at a summer basketball camp. They sat exhausted in the gym, looking forward to a good night's rest. Then Walvius -- thinking about her comfy running shorts -- experienced what she describes as an "aha moment." "I looked at Michelle and said, 'I love this fabric, and I'd love to have bedsheets from this stuff.' Michelle said, 'Let's do it.' 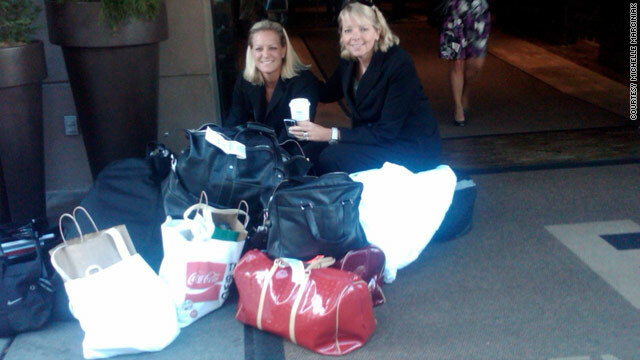 " And with zero formal business experience, the two women stepped boldly into the world of entrepreneurship. They paired with South Carolina's International Business School to research the market, quit their coaching jobs, formed a business and took their battles from the basketball court to business boardrooms. "The biggest similarity between coaching and what we do now is raising capital," said Walvius, who took USC's women roundballers to the Elite Eight for the first time in 2002. She compares raising capital to recruiting players. Instead of selling the school basketball program, they're selling bedding -- heavy on the marketing side -- complete with PowerPoint presentations and glossy poster boards. Their business -- SHEEX -- makes and sells "performance" sheets and pillowcases made from specialty fabrics that wick moisture and transfer heat. They sell online and at upscale sporting goods stores, trendy home stores and other retail outlets. I bring a more 'fiery' personality to our team, where Susan brings a calmer one. After working together as coach and assistant coach for five years -- and now as business partners -- the duo has developed a kind of unwritten playbook for themselves. "We're great friends, and we have different strengths," Walvius said. "Susan and I complement each other really well during presentations," Marciniak said. "If I get stuck, she fills in, and if she gets stuck, I fill in." Crisscrossing the country to build their business team and garner support, the two often find themselves working together for 16-hour days, said Marciniak, who gained attention as an All-American point guard on the University of Tennessee's national championship team in 1996. Local media nicknamed Marciniak and a teammate "fire and ice." "I look at this team in a similar way," Marciniak said. "I bring a more 'fiery' personality to our team, where Susan brings a calmer one." Meetings are very calm they say. The fire and ice come while grinding through everyday decisions. Marciniak proved on the basketball courts of the WNBA that she can play with fire. In a 2002 altercation that's ranked by FOX as one of the "most outrageous moments in sports," a player with the Los Angeles Sparks hit Marciniak in the face with the ball, prompting Marciniak to charge toward the player, who then knocked her to the floor. Both players were suspended and fined "a couple thousand dollars," Marciniak said. Recently, during meetings for SHEEX, the fight has come up in business conversation several times. "I am amazed how many guys see the fight after we meet with them and then comment on it during the next meeting or in a follow-up e-mail," Marciniak said. "They think it's cool." "I just smile and tell my side of the story," she said. Eventually, Marciniak learned to channel and focus that intensity, her former boss said. "Michelle isn't emotionally popping off in a meeting like she was on the basketball court," Walvius said. "She was such an emotional basketball player, and it was one of the reasons why she was highly successful. But with this, everything is about preparation and running our team." Do they fight amongst themselves? "Oh, we fight all the time," Walvius said with a laugh. "We fight about business decisions and the pace of our business. I want to research everything." Sometimes, she said, when they realize they can't resolve their differences, they just put them aside and move on. Do they see any parallels between male-dominated college and professional sports, and competing in the male-dominated business world? Not really, they say. "In sports, there are constant reminders that you're not the same," Walvius said. She mentioned gender-based differences in "practice times, modes of transportation, facilities -- you live that every day." But in the business world, she said, they're "competing in an arena today where that's not the case. It's truly about the bottom line." The two say they don't have time anymore to shoot baskets or even talk basketball. It's all business as they prepare for a major retail launch at upscale department stores and sporting goods stores. "What we're doing is trying to change the face of bedding in the world," Marciniak said. "What we want to do is win a 'national championship' with SHEEX." Now that they're playing ball with business barons, do Marciniak and Walvius miss their days on the hardwood? "I miss some of the players who will really go to the wall for you," Walvius said. "I miss the strategy of the game. Every once in a while, I'll see a game on TV and I'll see something that pulls me back there."